Working class buying power is stagnate, meaning demand based on the working class is also stagnate. 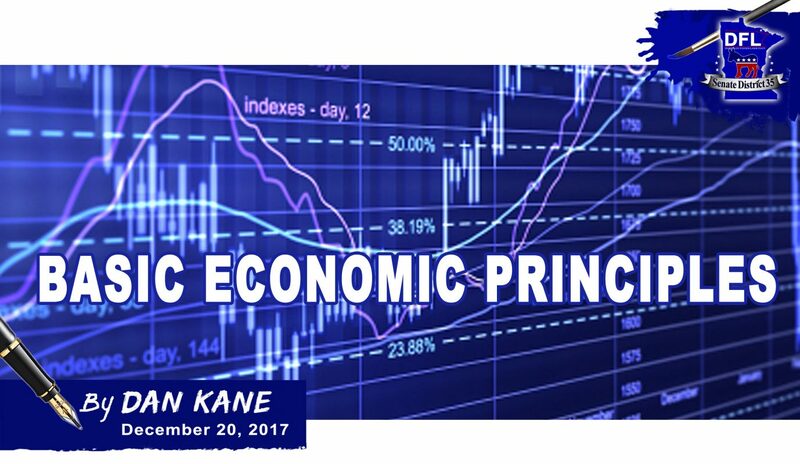 Record corporate profits and stock prices since the end of the Great Recession, yet working class wages and buying power remain stagnate (or even weakening) over that same time, and you, Congressman Emmer, believe that providing a massive tax cut for the corporations is going to fix that problem? What has stopped these record-breaking-profit corporations from investing in labor? How will providing even more wealth to remain in the hands of the richest Americans stimulate working class wealth, when evidence throughout history (including the past 7 years) shows that that doesn’t happen? Unlike the mainstream stereotype of progressives, we don’t believe that the top 1% is just being evil. They are merely demonstrating good business sense. If I can generate record breaking profits and value for my shareholders without investing in additional labor capacity, why would I start making those investments now? That’s a recipe for shareholder revolt. The only reason I would increase investment in labor is if there was sufficient demand for my products and services to justify the additional labor capacity. Working class buying power is stagnate, meaning demand based on the working class is also stagnate. Reducing corporate tax rates does nothing to alleviate that problem. Why aren’t you looking to do actual good for the economy and provide real tax cuts for working families? Tax cuts that would generate additional buying power in the working class, stimulating demand, and giving corporations reason to invest in labor/supply. That would further stimulate working class wealth increases, again driving even greater demand for goods and services. This is Econ 101 stuff here. Basic supply and demand. It would be stupid for corporations to increase supply (and therefore labor) without an increase in demand. Why do you refuse to apply basic economic principles?